The findings of the 2014 summer excavations at the medieval Bulgarian city of Cherven were presented by Stoyan Yordanov, an archaeologist from the Regional Museum of History in the Danube city of Ruse, Thursday (March 12, 2015) night. The ruins of Cherven are located in the Ivanovo Municipality (Ivanovo itself is famous for its rock monasteries), Ruse District. Speaking in the Ruse Museum, Yordanov has explained that while the 2014 summer excavations with the participation of UK archaeology students yielded no bombastic finds as far as the general public is concerned, they did add important new information to what is already known about the medieval city of Cherven and life in the Second Bulgarian Empire in the 12th-14th century. The latest digs have been focused on excavating a new section of a necropolis inside the fortified inner city of Cherven; the Bulgarian and British archaeologists and students excavated graves dating back to the end of the 12th and the beginning of the 13th century AD as well as one of Cherven’s numerous churches. Stoyan Yordanov, who has been taking part in the archaeological explorations of Cherven since 1975, has spoken highly of the contribution of the UK students to the digs, stressing that archaeology students from the UK have been taking part in the Cherven explorations in the past 12 years. “Taking into account the number of workers – i.e. the British students – that we had, and their education, we decided to continue excavating a necropolis. We had been finding graves from this necropolis in the previous 3-4 years but [before the 2014 excavations] we had no proper idea of its territorial scope and time range," Yordanov explains, as cited by RuseInfo. He has revealed that the 2014 expedition in Cherven managed to excavate 8 new graves. “One of the reasons we decided to research the necropolis was the fact that we had a British student of human anthropology who was prepared to process the bones that we might find there. Unfortunately, as we had found in previous years, the skeletons we discovered in Cherven last summer were really smashed into pieces," the Ruse archaeologist elaborates. In his words, the reason is that the small area of the medieval necropolis in Cherven’s inner city was used for too many burials and reburials, and human activity from later periods – such as agriculture and stone mining – incurred additional damage. “All of those factors did something unforgivable [as far as archaeology is concerned] – they messed up the stratigraphy, the strata, the thing that we archaeologists care about the most, i.e. to be able to date every stratum, and, respectively, to date every burial," Yordanov says. He explains further that new and old information from grave artifacts such as coins indicate that the Cherven necropolis was created at the end of the 12th century, shortly after Bulgaria’s liberation from the Byzantine Empire (which ruled Bulgaria between 1018 and 1185 AD), in the early years of the Second Bulgarian Empire. 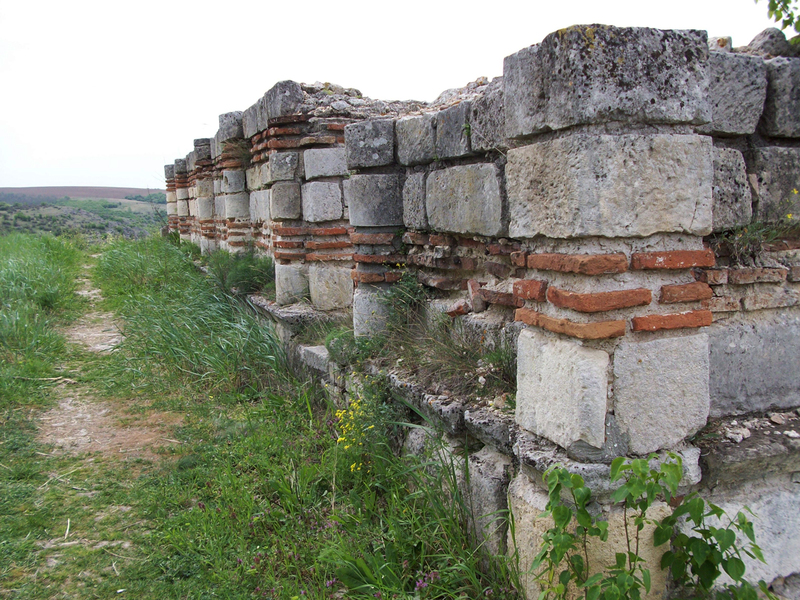 “At this time, the territory of the necropolis was outside Cherven’s urban territory. However, the city expanded very rapidly, and the necropolis was enclosed among the residential areas. That’s why it functioned only for several decades, and had to be closed down. Yet, its territory was respected, and there was no construction on it, save for one small church. This church had to be rebuilt twice as the unstable terrain caused by the graves underneath led to damages. It eventually collapsed but thanks to an inscription on one of its walls we now that it was named “Holy Mother" [Virgin Mary]. And this is the only church in Cherven whose name we know," Yordanov notes. He says the objectives of the 2015 summer excavations of the medieval Bulgarity of Cherven will depend on the number and qualifications of the UK students who will arrive to participate in the digs. One possibility is to carry out excavations in southern direction, along a tourist path which bears signs of medieval structures. The archaelogist from the Ruse Regional Museum of History also notes, however, that while Cherven was one of the largest urban centers in the Second Bulgarian Tsardom (Empire), it has a much longer history, as its area also features remains from an Ancient Thracian settlement, an early Byzantine fortress, as well as several settlements from the time of the First Bulgarian Empire (680-1018 AD). During the period of the Second Bulgarian Empire (1185-1396 AD), and especially in the 14th century Cherven became one of Bulgaria’s most important cities. It has been excavated since 1910, with early 20th century excavations being led by Vasil Zlatarski, one of the most renowned Bulgarian historians and archaeologists from the early years of the Third Bulgarian Tsardom formed after Bulgaria’s Liberation from the Ottoman Turkish Empire in 1878. Yordanov points out that even though the medieval Bulgarian city of Cherven was destroyed by the invading Ottoman Turks in 1388 AD, it is still one of the best preserved Bulgarian cities from the Middle Ages. One interesting fact about Cherven is that so far the archaeologists have found a total of 80 medieval inscriptions about church donors there, more than in the capital of the Second Bulgarian Empire, Veliko Tarnovo, where a total of 60 such inscriptions have been found. 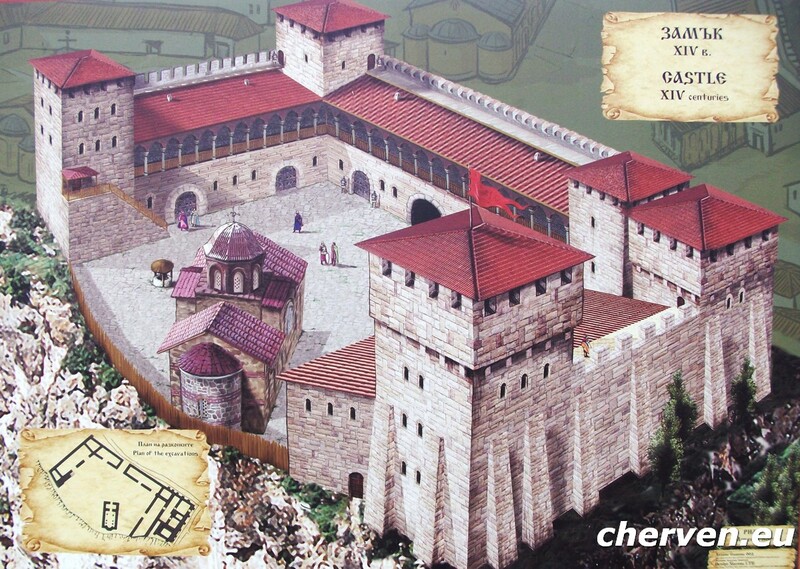 This is seen as a testimony to Cherven’s importance during the Middle Ages. The Ruse Museum presentation about the 2014 excavations of Cherven was attended by Lilyana Yordanova, a Bulgarian Ph.D. candidate from the Sorbonne who is studying the medieval inscriptions in Cherven and the nearby town of Ivanovo, reports the local daily Briag. Yordanova’s dissertation adviser is French professor Ioanna Rapti, a specialist in Armenian inscriptions. One of the inscriptions in Cherven is in Armenian. “Who lived in Cherven? We know the names of four metropolitans – Neofit, Kalinik, Zahariy, and Pavel (whose name we have found recently in an inscription). We also know the names of many ordinary residents of Cherven. It matters to us that they were literate. The Bulgarian Middle Ages were not a time of unenlightenment. The people were able to read and write. And that was a form of pride – writing down one’s name to demonstrate that they were literate. The city was inhabited entirely by Bulgarians, even in the early Ottoman period when at first it preserved some of its administrative functions," elaborates the Ruse archaeologist in an interview for the Bulgarian National Radio. In his words, few cities – such as the capital of the Second Bulgarian Empire Tarnovgrad (today’s Veliko Tarnovo (“Great Tarnovo"), Lovech, and Melnik – provide a better insight into Bulgaria’s Middle Ages than does Cherven. 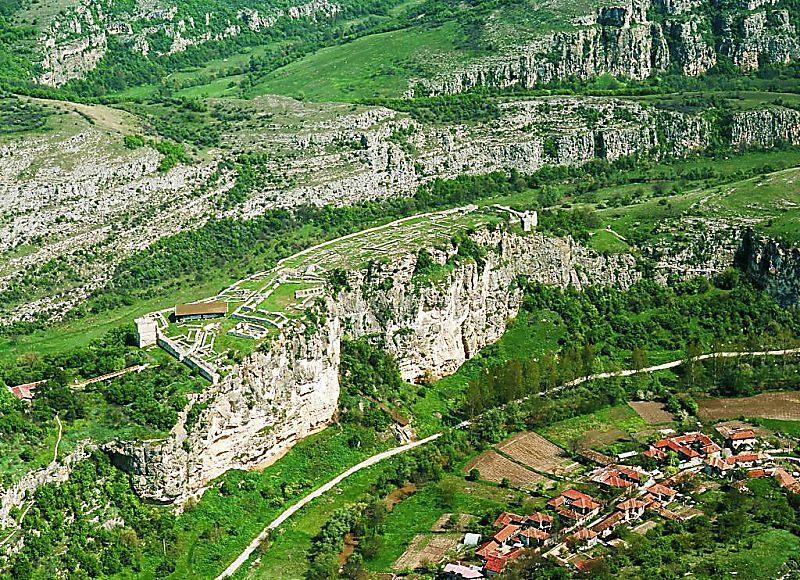 The Cherven Archaeological Preserve is located within the Rusenski Lom Natural Park, along the canyon of the Cherni Lom River, in a truly magical and picturesque landscape. 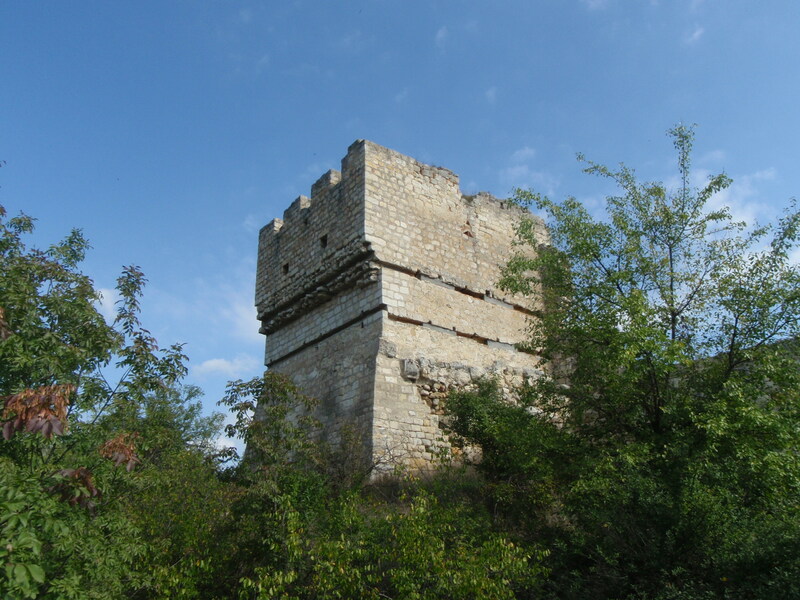 The ruins of the medieval Bulgarian city of Cherven are found on a high rock while today’s village of Cherven, which was set up by survivors after the Ottoman conquest, is located down in the river gorge. “Archaeology can be a science of great discoveries generating lots of noise but more often than not it is a science of gradual accumulation, of adding something more. Last year we added a little but we still added something," Yordanov concludes wrapping up his account of the results from the 2014 excavations of Cherven.